Gather round and get ready to drool at one of the most exclusive vehicles in the world. 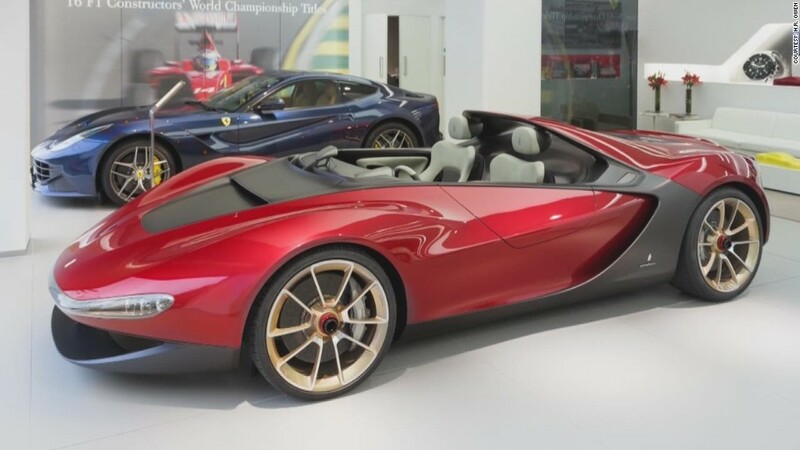 The Ferrari Sergio, produced in partnership with Italian design firm Pininfarina, is a car that's so limited and unique you have to be invited by Ferrari to buy it. The automaker is creating only six Sergios and they're estimated to cost millions each. Ferrari told CNNMoney it pre-sold all six vehicles to deep-pocketed die-hard Ferrari fans in the U.S., Europe and Asia. If you haven't received a call from Ferrari yet, you're out of luck. Ferrari, which is owned by Fiat (FIADF), has built a world-class name for itself based on its reputation for exclusivity. It capped production at 7,000 cars per year to ensure demand consistently outstrips supply, making its cars all the more desirable. However, after a recent management shake-up, the company said it will ramp up production by 5% this year to ensure its waiting list doesn't get out of control. 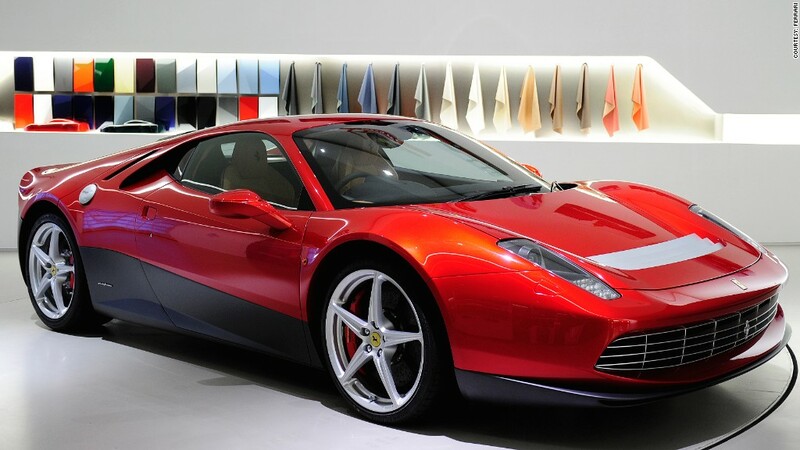 While vehicle output may be increasing, limited production cars like the Sergio help Ferrari keep its exclusive edge. The automaker also offers a "one-off" program where rich car collectors can buy a completely original car that they help design themselves. Each car costs millions. "It's as far removed from mass production as you can get," said a Ferrari spokesperson. Ferrari has only created about a dozen of these bespoke cars since the "one-off" program launched a few years ago, but it said the program is gaining traction, which could be helping the company's bottom line. Musician Eric Clapton helped design this original Ferrari. It's one of a kind and estimated to be worth millions. Clients who signed on to buy the new Sergios have made their commitment before the road-ready car design has even been finalized. Ferrari engineers still haven't figured out how to craft a vehicle that is based on a whimsical concept car that was designed without a windshield and side mirrors. The concept car was on show in London this month. Deliveries of the six Sergios are expected in 2015.